Thank you for your Kickstarter survey responses. If you are one of the backers who have yet to complete the survey, please log in to your Kickstarter account and do this as soon as possible. We can’t ship your NTH if we don’t have your information. The t-shirt order has been placed. 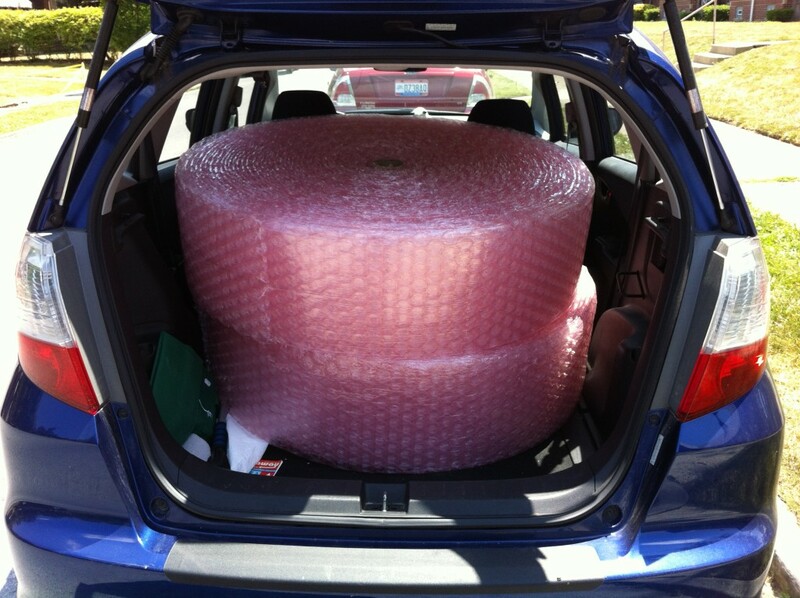 We ordered quantities of different sizes based on survey responses. If you haven’t completed your survey yet, we will be sending you a size L shirt. Our package carrier requires the recipient’s phone number. We forgot to ask for this piece of information in the backer surveys, so we will send an email request for this information. Sorry for the inconvenience. Of course, we won’t use your phone number for any other purpose. Important note for backers outside of the United States: There are still some backers that did not add the international shipping cost to their Kickstarter pledge and that still have not sent the extra funds to us via PayPal. We can’t ship your reward unless we receive the funds to cover shipping. Please review your reward description for details. Please email us if you have questions. We have added instructions for Mac users to the NTH Firmware Update How-To. Please take a look and post your questions at the NTH Google Group. 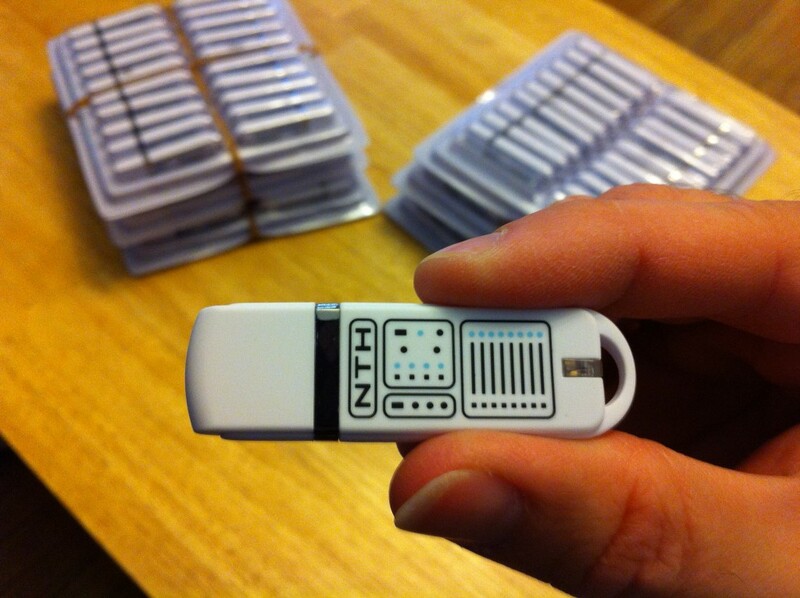 The USB flash drives came in and they look great! We were recently interviewed by Mark Camperell at The Sonic Spread. If you’re interested in learning more about the development of the NTH, please take a look. 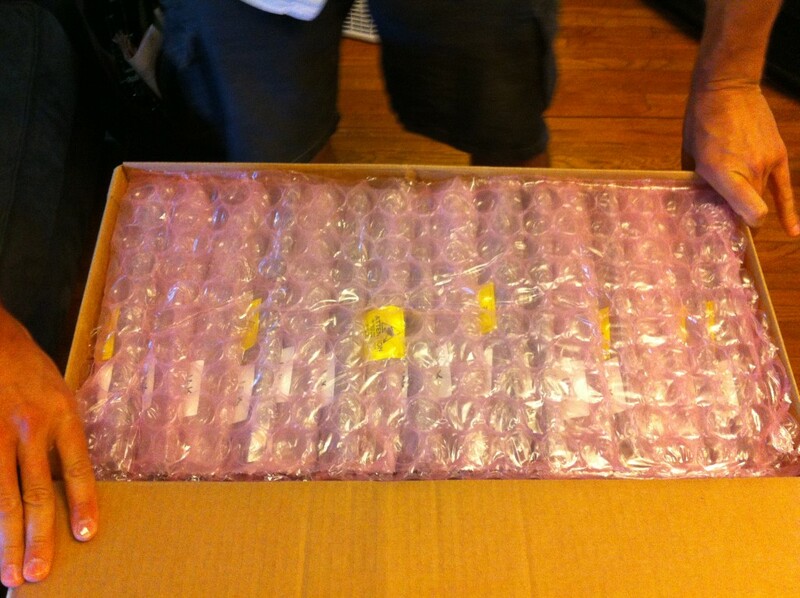 And finally…today we received the second and final shipment of circuit board assemblies from the assembly house. We have begun the process of loading the firmware, confirming the hardware functionality of each board and tuning each filter. 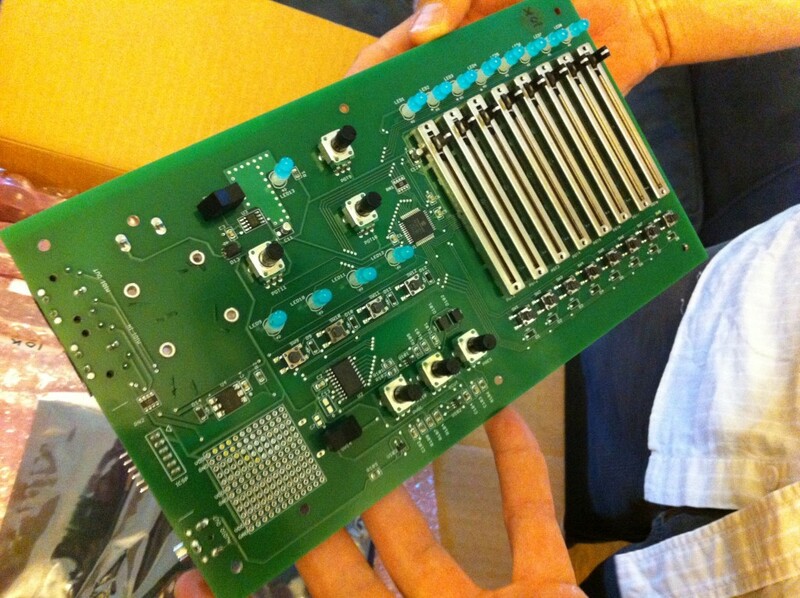 After that, we will assemble the enclosures and package the NTHs. Shipping will begin when the t-shirts arrive. This entry was posted in Uncategorized by NTHSynth. Bookmark the permalink.